X Party’s Method and Roadmap  Partido X. 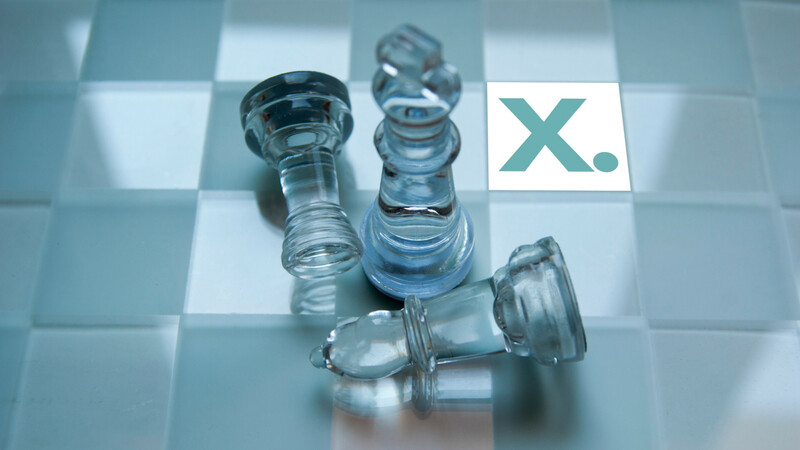 The X Party is a working method and a minimum, non-ideological, cross-border pact among citizens on the basis of the themes developed on this website. Here, in a few words, you will find the contract made by citizens around this project. On this page, you can find a greatly summarized overview of the contents (created from the best proposals coming from the civil society and subsequently amended by citizens) and the working method of Citizens’ Network X Party, intended for those who are not familiar with the project yet and wish to gain a first impression. A summary, so to speak, of a real user’s guide for the 21st century Democracy. You can also download several PDF files with the full content in Spanish. Mandatory throughout the administration and in any public institution, as well as private institutions which receive public funding. The following must be open to the public and must be easy to access: account books, reports, budgets, competitions for public funding and, in general, any administrative document on which those decisions affecting the Citizens are based. So that the governments’ agenda is set by its citizens and not by private interests and so that legislation is carried out in plain view, taking into account the Citizens’ involvement in those topics in which they are competent. Offering the possibility of voting those laws debated in parliament, exercising our right to directly take part in the democratic process, as is gathered in the Constitution. The intention is not to use this right all the time, but to do it when we consider necessary. Never again shall we hand out a blank check. Only for wide-impact legislation. Mandatory for the government in case changes are made to the constitution or to fundamental laws or in case a Popular Legislative Initiative (ILP) takes place; the possibility of a revoking referendum for some laws is also considered in exceptional circumstances. 5. Annex: Duties and Responsibilities of the Governments and of those tasked with representing the Citizens. Eradicating corruption. – Reduction in the salary of politicians, equating it to the average salary of the population. Abolishment of political privileges. Control over absenteeism. Specific fines for abandonment of functions. Complete and exclusive dedication to public charges. – Reduction of immunity associated to a public charge. Non-lapsable action on corruption crimes if a public function is to be carried out. Mandatory publication of assets and patrimony for publicly elected charges. Restriction on “revolving doors” (taking advantage of a public charge to benefit one’s future career in private enterprises). – Reform of the current electoral law as well as the political parties law to achieve their internal democratic status. Reform of the current financing laws for political parties. Rejection to aligned voting discipline within political parties. Rejection to secret voting within Parliament. “If you find yourself in a hole, the first thing to do is stop digging” Chinese Proverb. Balance between the individual, groups, the common good and a Government under Citizen control. We should be able to live as free, self-sufficient individuals at the height of our development, cooperating and maintaining the use of common resources within the limits that we have given ourselves as a society. It is paramount to find responsibilities and to stop rewarding those responsible. We are perfectly conscious of the magnitude of the plundering that has occurred. But if there is something we can count on in order to rise out of the hole it is our initiative, our inventiveness and our capacity to undertake new ventures as Citizens, as individuals and/or self-organizing in human collectives pursuing specific objectives. We have the most reactive, educated and skilled society in history. Worthy of achieving a European space full of possibilities and justice, not of exploitation and scarcity for the people. We don’t want to be bailed out. Our relative weight within the countries of Europe carries the potential to defend our needs above those of the debt. Encouraging their own skills and their capacity to undertake new ventures. Encouraging people’s skills to federate competencies, their strengths and their capacity to build and create together. Under Citizen control, acting as a guarantor of the limits established for a coexistence aimed towards the common good. SMEs (Small and medium enterprises) must be preserved and protected, for they are the spaces where new employment is created. – End the strangling of self-employed and independent workers. – Clear anti-trust policies in favour of SMEs and of consumers. – Avoid the financial chocking of SMEs and of venturing endeavours and ease the required formalities. – Tax incentives for those businesses that meet criteria which ensure the quality of hiring contracts and compensation. – Transformation of those institutions dedicated to the management of IP rights and patents. – Regulation of proximity funding. – Facilitate the existence of venture capital figures and Business Angels (financial partners in new ventures). – Support of “cooperativism” as movements aimed toward the creation of employment. Avoiding having to pay in order to be able to work. – Change in the productive model (please read specific section). – Reform in the self-employed and independent workers’ regime: we do not want to have to pay in order to be able to work. – Reduce the stringing of temporary contracts. – Maximum highest/lowest intra-company salary ratios. – Individual contributor’s money pouch. – Encouragement of salary incentives linked to labour productivity and company profits; avoiding a reduction in the fairness of salary. – Revision of the latest reforms in labour regulation. – Maintain compensation for improper dismissal. – Independence of the political powers to the financial powers. – Transformation of those organizations which have been bailed out into public entities with strict measures over their management and operations. – Reform of the banking regulations in order to impose strict control and transparency measures for credit and financing organizations (please read on the Citizens’ Network X Party project for an Anti-corruption Citizens’ Committee). – Ensure protection for banking clients, whether they be money “savers” or “lenders”. – Regulation of wages and/or incentives for medium-long term objectives within the banking activities (vs. the current deregulation of salaries and evaluation of short term evaluation). – Rephrasing of the objectives of Central Banks, both the Spanish Central Bank and the European Central Bank. – Encouragement of proximity banking, Ethical Banking (Banca Ética) and responsible and cooperative banking. – Split commercial banking from investment banking. – Normalize micro-credits as a tool to hasten the end of the economic crisis. – Creation of banking entities with higher degrees of control from their clients (partner clients – stockholder clients) and public responsibilities. Use of “proximity” versus the monopolist project of the European Union. – Normalization of alternative coins and exchange routes as a tool to hasten the end of the economic crisis. Under Citizen control. Stop Corruption. – Periodic revision of compliance with programmatic and budgetary objectives. – Changes in the system by which public work contracts are awarded. – Revisiting of the distribution of Defence and Public Work funds, which traditionally have too high budgets allocated to them while Social Welfare, Pension and Housing funds languish. – More restrictive laws on the incompatibilities which should be associated to “revolving doors” (taking advantage of a public charge to benefit one’s future career in private enterprises). It is the origin of bad government. We can end it. – By exerting control over the financial flux of the banks (please read on the Citizens’ Network X Party project for an Anti-corruption Citizens’ Committee). -Through the ascertainment of responsibilities: a “Financial Nuremberg”. – By cornering extensive fraud through control of high impact operations from the great banks (please read on the Citizens’ Network X Party project for an Anti-corruption Citizens’ Committee). – By difficulting the flight of capital and penalizing investment from tax havens. – Creating a National Anti-corruption Office under Citizen control. – By regulating the maximum number of Executive Boards from high grossing companies of which a same person can be part of. We will not be responsible for the private debt of the banks. – Bailed out entities will become public entities and will remain under democratic Citizen control. – Debt Audit under the Citizens’ control. – Revoking of the Constitutional reform of Article n.135 regarding the deficit ceiling. – In-depth splitting of the debt contracted by families and SMEs and the debt contracted by big companies. – Improvement of bankruptcy terms for those families in debt out of necessity. – Revoking of the MoU (Memorandum of Understanding) and the ESM (European Stability Mechanism). – Reduction of the debt through a review of government expenditure items. – Moratorium on the 3% limit on the deficit ceiling imposed by the European Union until the economy recovers. We would like to contribute to the common objectives of society, not pay for a government that loots its citizens. – Rephrasing of our spending policies: we need to spend more cleverly. – Removal of the IRPF (Impuesto sobre la Renta de las Personas Físicas: Tax over the Rent of Physical People) taxation for incomes under 25.000 Euros. – Revising of tax exemptions on the IRPF taxation regime and taxes on capital returns. – Taxes on patrimony, donations and inherited assets are considered too high. – Review of IBI (Impuesto sobre Bienes Inmuebles: Property Taxes) taxation: avoid taxing “first homes” and land plots used for subsistence; penalizing those houses and terrains lacking use. – Kick-starting a new frame for European relations: a common revision of the SGP (Stability and Growth Pact) of the European Union. – Incentives towards proximity investment and consumption. – Taxes on financial speculative streams and an increase of fiscal pressure on this type of operations. – Plan for the development of a knowledge based society and the encouragement of research within the information age. – A democratic productive model. – An economy based on the common good. – A productive model based on dignity and the quality of life. – Re-evaluate and convert traditional sectors of the economy to give rise to a new productive model. Guaranteeing our health is an enactment of democracy. Health Services under control of the Citizens and healthcare professionals. Prevention does not happen through spending, but by investing in the future. Getting back our National Healthcare System / Eradicate corruption within the healthcare system and improve the distribution of spending to achieve a better funding / Healthcare under control of citizen’s and healthcare professionals / Recovering the universality of the healthcare system / Rejection of co-payment in healthcare / Encouragement of medical and research careers by the SNS (Sistema Nacional de Salud: National Healthcare System), detaching it from lobbies and big pharmaceuticals / Strengthen primary healthcare in order to invest in prevention approaches. Housing is a basic need and, as such, should be protected in society. A public offering of Houses from the immense housing portfolio of the Sareb (Sociedad de gestión de Activos procedentes de la REestructuración Bancaria: Society for the management of assets coming from the Banking restructuring) / Open and Binding Citizens’ committees for topics related to Housing. Referendums / Protection mechanisms for the settling of mortgages which are realistically and objectively not assumable / Tenancy arrangements which guarantee security and assumable living expenses: social rental, ceding of use, cooperative or usufruct uses / Preservation of public land plots, government-sponsored housing and common resources / Making effective the rights of debtors acting in good faith, so that they may rebuild their own economies. Ending with oligopolies and taking back our sovereignty over energy production. If Spain was not dependant in energy terms, the state would run a surplus. Ending with monolopolies / Recovery of the energetic sovereignty / Investment and encouragement of renewable energies / Transparency in management / Capacity to decide over the model of energy production / Audit over the Energy system / Eliminate barriers for self-consumption / Environmental sustainability / Broad re-structuring of the Energy sector: Simplification, equitable remuneration and hierarchization. Knowledge is not a commodity, it is a source of wealth. Investing in people´s skills, to recover lost competitiveness and retain the human capital we have invested so much in / Encouraging SMEs to invest in R&D / Promoting the knowledge transfer from publicly funded research groups toward the business and industrial fabric / A research career based on selection criteria that is both transparent and public, based on professional merits that help in eradicating corruption and endogamy within the research groups. The more educated a society is in its whole, the better it is prepared to tackle the world´s challenges. A quality education is one of the main success factors. We need updated learning environments and new teaching methods / Ensuring equal opportunities / Free, high quality education / Policies that are designed by the whole of the education community, including students and parents / Guaranteeing the importance of each student / Well recognized, professional teachers. Right to share culture, knowledge and information for non-profit / Obligation to share the profit if it exists / Expansion of the public domain / Reduction of copyright established terms / The output of publicly funded research and intellectual and cultural works should carry licences which allow them to be shared publicly / Right to quote and be quoted / Internet access on equal grounds for all / Web neutrality / Protection for Communication privacy / Just compensation of their work for authors and makers / De-monopolization of copy-right management organizations and performing rights societies. Due to the high level of corruption that can currently be found in the highest spheres of the Judicial system in our country, the ellaboration of this part of the program so that it reaches the necessary rigour is a complex task. For this reason the Justice Administration part of the program is still being developed. ONLY WE, THE CITIZENS, CAN STOP THEM! The movement known as Citizens’ Network X Party is a great agreement on the basics, a cross-borders non-ideological pact amongst citizens. The idea is to clean the stage of those who have caused the current crisis and their political accomplices. We are proposing a method that will act as a catalyst for the best proposals society has already produced; a method that will allow for make our democracy truly functional. We never start from scratch. Much has already been debated and built in the civil society and in the scientific community. So much so that we have at our disposal excellent proposals to fix this situation, which are only waiting to be carried out. The only thing stopping this are the current governments. Since the first day we have worked with a roadmap. We have built this movement around this roadmap of civic solutions. The Citizens’ Network is a work space; a speeding train that aims to achieving what we said we would achieve, and getting there now. We need only to think outside of those boxes in which they strive to separate us in. We do not work from a left or right wing perspective, neither with a horizontal or vertical organization. We work through the Network, as co-responsible citizens which have self-organized in order to achieve their objectives more efficiently. It is time we be organized in order to make decisions in a more democratic, fast and efficient way. This is not something we will achieve if we surrender to never-ending debates or by simply hit “like” on an on-line poll. There is too much at stake to dismiss the knowledge generated by broadly qualified and competent citizens on what solutions should be carried out. This movement grows by standing on the shoulders of this knowledge. It is cohesive and coherent work, it does not grow spontaneously: people get on-board this moving train when they conclude it is their train, they learn respectfully from those who make it function and they join a synchronized and diverse Network. In this way, the movement grows un-matched. Affiliation to the Network does not exist; we function on the basis of reciprocal affinity and of the work carried out, always taking into account what one can provide or would like to provide. Just being informed of the work carried out is already of great help. This is the way we function. We believe that it is not the only way to do things, but we like it this way. We do not aim our efforts to debating how to do things, we simply do them. It might not please everybody, but we will carry on pushing until the end. A Democracy suitable for the 21st Century. A real democracy in which we, the Citizens’, can exercise the sovereign powers that belong to us, use those tools that will allow us to stand vigilant of our governments and put them under our control, together with the institutions and politicians. A democracy in which we can truly act on those matters that affect us. Once Just Democracy is implemented, the remaining decisions will always be made within the framework of a true democracy, in which the citizens are the owners of their own sovereignty. #JustDemocracy has been created to oppose the conflict to which we are being cornered into in order to keep us divided. It is a method to maximize consensus and minimize dissent in the political decision-making processes and the design and passing of legislation. This will prevent that decisions are made against the common interests of the great majority or that those matters in which we disagree are used to throw us against each other, as currently happens. We never start from square one, we stand on the work already built by the civil society. For the OTHER great emergency, the economy, we also need democracy: Economic Democracy. For this reason, we have been working on an Emergency Plan to tackle the Crisis which, during these days, is being amended by the Citizens that wish to access our webpage. The current system was created so that a few great multinationals, in conjunction with our governments, would be able to exploit us as they saw fit. This is what crises are for, so that cheap and desperate labour is abundant to those great businesses with no other objective than control of the financial powers. But the citizens will, once again, surprise them. We are aware we constitute the great majority of citizens; sometimes we are employees, sometimes we are independent workers, sometimes we are small entrepreneurs, civil servants, unemployed or retired, sometimes we are all of these in a short period of time. And as always, their laws are there to exploit us, divide us, throw us at each other; when, in reality, we are the same people: we all have a great capacity to create, through cooperation, the conditions necessary to generate employment and a life that is truly worth living. We, the Citizens, have enough competences and influence as economic actors in order to demand an economic system that is in the service of people. We propose a balance between the individual skills and ambitions and the preservation of the common resources; with a government under Citizen control which guarantees and eases, not rivals, profits and preys on. We are aware that, in their plundering, they have taken everything; everything but our will, our skills and our ability to, still, turn the situation around. It is our duty, and so we will carry on, whether they approve or not. The message we carry as citizens, for the citizens, is that now is the moment to stop talking about “what is going to happen” and start talking about “what we will make happen!”. We have already tasted the consequences of leaving fundamental topics like democracy, the economy, healthcare, education, housing or science in the hands of politicians. It is tame to take them back. Democracy needs to be bailed-out by its Citizens. Over the last few years, millions of outraged people (“Los indignados”) have managed to get together and build a broad Citizen’s agreement; we have not yet attained our final objective: to throw them out of the public stage so that wemight recover our sovereignty and climb out of the hole they have thrown us in. Never again will the political class make decisions that are against the interests of the majority of citizens. Never again will there be another elections without us, the Citizens. Never again will there be another elections in which the only topics which are discussed are those that benefit them, instead of the real problems we face. If this requires us to run for elections and win them, we shall do it. Some will say it will be hard. They are right, we will have to work hard and rigorously. Some will say we should start over again. And, in time, we will; but lets start with that which is easiest, plausible and logical: lets kick them out of their seats. Ours is an irrepressible want, an unstoppable movement, even if its only out of dignity and justice. And in this fight for our dignity, we have nothing to lose, we can only win. This time, nobody wins if we don’t all win. What is the X Party? The X Party is a Citizens’ Network that has built a rigorous and efficient method with the purpose of returning sovereign power to the citizens. It is a tool to optimize, encourage and catalyse the best solutions already proposed by civil society and its experts. Why was this movement created? Because we, the Citizens, are rising up to the challenge of doing the work our political class is not doing. The government is making decisions ignoring the needs and requests of the society; the solutions that our society is putting on the table are being frustrated by public institutions in collusion with other interests which are far from being those of the Citizens. Why the name “X Party”? The X is the unknown variable. It represents those who wish to completely rewrite the concept of “political party” and that, instead of preserving its privileges, will commit itself in establishing a real democracy. As there is no political party willing to do it, then the X represents the Citizens, the Citizen’s Network that will kick them out of their seats. Is this the 15th of May movement’s official Party? Most of the people, though by no means all, belonging to the Citizens’ Network X Party actively participate or feel part of the 15-M movement; however, this movement does not want to be and cannot be represented by any political party. We want to bring the spirit of the 15-M movement to the electoral arena. Let’s make a 15-M movement in the electoral scenario! Who makes up the X Party? We are citizens, normal people like you, tired of a system that forgets us and leaves us bankrupt. We have come together to achieve a campaign based on work, communication and action with the purpose of returning sovereignty to its citizens. Is this an anonymous political Party? Why are there no leaders? There are many people collaborating with the Citizens’ Network X Party, but we do not wish to tie any names to it. We want to put an end to politics based on a the egos of political leaders. We do not want to fall into the logic of work of traditional parties, where only what the leader does and says matters, as if this was the only possible way to work. What is important is that our work is out there for anyone to see. WHAT ARE WE PROPOSING? WHAT DO WE DO? What is the ideology of the X Party? We do not want to enter in an ideological debate, we wish instead to act logically. We have observed that common principles exist amongst differente human initiatives which are not associated to any ideology. It is around these principles and initiatives that we can reshape things in a more just, efficient and rational way; allowing us to reduce dissent and broaden consensus of the common basics. What are its goals? Which is our programme? 2. Implementing an Emergency Plan to tackle the Crisis so we may leave it behind us in a way that is benefitial to the citizens, not for governments, banks or big corporations. Do you have an opinion about every topic? Are you going to reach agreements with other political parties? We do not want to enter into the dynamics of the traditional political parties. We offer our programme to all other political parties, but only if they will implement it from beginning to end; after all, its Just Democracy. Had we considered that there is another political party proposing the same as us, we would have worked directly with them instead of developing the X Party. Uniting no matter the cost and lacking judgement can only lead to fratricidal squarrels where there could be a collaboration from complementary points of view. On the other hand, we would never collaborate with those traditional parties which are responsible for what is happening today. What kind of relationship do you have with other social movements? We do not believe in political parties as the only tool for participation. For this reason we are constantly in contact with all these spaces, either social movements, independent organizations or people really doing a programmatic and propositional work for change. Many of these people participate also in Citizens’ Network X Party. How are we organized internally? It is neither a hierarchical nor an assembly-basis organisation; it is a federation of skills in which people’s competencies and implication in the project is what is valued. It is a Network built on trust and the affinity for goals and a method. The structure consists of a Kernel/HUB (which coordinates all the areas and nodes), a work centred Matrix, Territorial Nodes (groups in specific locations around the country), Thematic teams and sympathizers. How are decisions made? Who makes these decisions? Decisions are made taking into consideration the different implications, the recognition by peers around the work done,the rigorous achievement of common goals, the respect for the working method and the time the people have been involved in the network. People working on a particular aspect have a greater say over it; however, the rest remaing vigilant over the work at all times and how it is being carried out. This is not a discussion forum nor are we starting from scratch. Those solutions already given by civil society and its experts are sought out, integrated and ammended by the citizens. What are the territorial nodes? It is the base organization structure of the Citizens’ Network amongst the different geographic territories, so that all the different activities may be carried out. The main function of the Territorial Nodes is to be active in the locations in which they can be found. They work autonomously but respect the working method, #JustDemocracy, the rejection of ego based partiality and ideologies. They are broadly prepared to work in unison within their own autonomy. Internally, they mirror the functioning of the global Citizens’ Network. How do you plan the network to grow? We strive to create an efficient and robust network, an unchecked and unoperative growth is unwanted. Why is your presence not more heavily felt in the media? The media is always not as accessible as some may think. The great majority of the big media groups orbit around political interests. However, thanks to our communication skills, of all the new political platforms that have appeared, the Citizens’ Network X Party is one of the most portrayed in the media: we’re everywhere. The Citizens’ Network is sustained in the willing work and capacity to self-organize of all the people who contribute to the project. However, achieving some of our goals will require funding at certain times. What about those without access to the internet? We are proposing alternatives in the non-virtual world based on in-person approaches, such as analog voting and participation systens placed in post offices and town halls. In regards to broadcasting the work of the Network, we will reach the Citizens through the nodes and with your help. How can I keep informed? How can I help? Go to http://partidox.org/agenda-informativa/ and fill in our formulary to be included in the X Agenda mailing list. It requires no commitment.